You are here: Home / Head Cushions / Toddler Head Cushions: Helpful or Hype? Toddler Head Cushions: Helpful or Hype? Now that my friend’s 13-month old son is walking (and tumbling) around he keeps hitting his head on furniture. 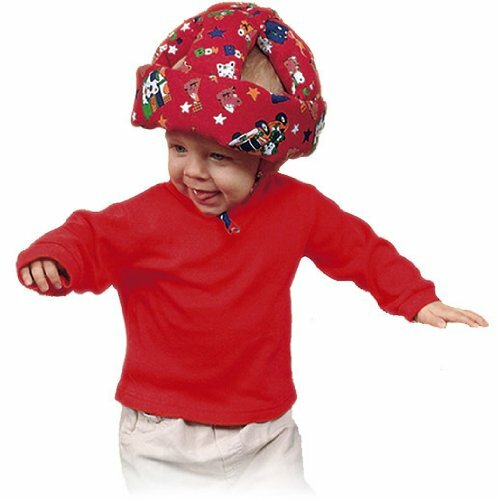 So, when I found this Toddler Head Cushion I knew I had to show it to her these adorable cushy head protectors designed to cushion a toddler’s bumps and bruises while he learns to walk. Clearly head cushions or head bumpers for babies and toddlers can be helpful. But, are they really necessary? What do you think? Are they helpful or hype?